Central Texas Mobile Home Services offers a 32 point inspection of your mobile, modular and manufactured home, 7 days a week, free of charge! We provide service to all of the greater Austin and all surrounding counties. We are locally owned and operated right here in Buda. Our company is the only mobile home repair company in the state of Texas that has its own 24- hour emergency repair crew at your door in less than one hour, guaranteed! 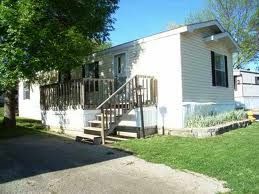 We specialize in leveling of any manufactured or mobile home, as well as all framework, drywall, roofing, flooring, painting, door and window installation and all other aspects of your mobile home. With regular recommended leveling service every 4 months, we can guarantee the solidity and stability and level of the home not to change (extreme weather permitted regulations are otherwise excluded). 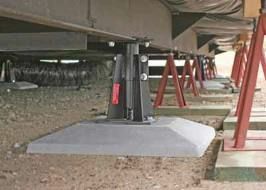 We use Sedco Peir and Pad foundation footings and lags. We use all Henry roofing products. Our customers also have the option to choose their own brand names that we will purchase and install. We use mostly Hardee board paneling and trim, which lasts 10X longer in these extreme temperatures and humidity levels in the air. As of now, we have our official business license. Our DBA, State liability insurance on every job for personal damages and property damages and also any permits needed to complete our jobs are collected before we begin our work. As of now, we are a sister company to our "Cartier Construction & Mobile Home Services" located in Southern California. San Antonio,	Austin,	Killeen,	Round Rock,	Bryan,	College Station,	Temple,	New Braunfels,	San Marcos,	Georgetown	and other cities within 150 miles of Austin.,	Seguin,	Pflugerville,	Cedar Park,	Kerrville,	Copperas Cove,	Belton,	Leander,	Brenham,	Boerne,	Converse and Gatesville	. My company went into large Spanish families home that had lived in their mobile home for almost 20 years in Bastrop county. When the fires passed, we replaced all of the exterior siding of the home, caulking and paint included, as well as the roofing and all of the shingles, tar and nails. All included for a total of $2000.00! That's one quarter of the quoted price by the competing company who cannot be named. That's how much we care for our customers. I was born and raised in the cold wilderness of Central Alaska. That's where I learned all of the skills needed in the mobile division of our company in the frigid cold undercarriages of our mega insulated mobile homes in Alaska at (-67) degrees, which sometimes beats the rattlesnakes and scorpions and spiders here in Texas. Getting the basic minimal amount of work done to correct the issue at hand. If that is not an option, we may be able to assist with a payment plan or reliable finance company. Another way you could go is having a contractor tell you what you need repaired, purchasing the materials needed to complete the job and hiring a handyman at discount price without lifetime warranties or regular scheduled maintenance. I wish that our customers weren't taken away by our free inspections. They are strictly a courtesy of the mobile home division to anybody in need of some assistance with their mobile or manufactured homes. We are not here to make you repair your home. We are here to give you the inspection that will inform you of what needs to be done. It all depends on how large or small each job is. 1 day - 2 weeks per job. 1 - 5 jobs per week. That's between 52 - 225 jobs per year. When we have multiple crews out at once, that number could double or triple. Although there are times when we have natural storms and disasters that will bring in more work than usually expected which could increase the amount as well. I was an installer for a similar company in the state of California when I heard of the great Bastrop fires. My work crew and I, headed to one of the many mobile home communities affected by the fires, opened our shop up in a small trailer and got to work with restorations and fire damage repairs at unbeatable and unbelievable prices for our Texans. The most frequent question would probably be "When can you start working on it?" and our most common answer is "tomorrow morning at 8 am". Another is "Thank you gentlemen very much for your excellent work, when can we expect you back for the scheduled maintenance?" and our answer is " within the next 90-120 days". We offer a lifetime transferable warranty on all work done (unless otherwise stated and confirmed with the customer before the contact is signed by either party). We provide the only 24-hour emergency water, gas, electrical and sewer emergencies and our crew will be there in under an hour usually depending on traffic, weather and location. Releveling of the home is most common due to the high humidity rate in the soil of the ground underneath the home, which also leads to the lower skirting around the perimeter of the home being crushed and twisted. It could lead down to water, sewer and gas lines leaking or breaking due to uneven sinking of concrete brick most commonly used in installation of mobile homes. Competitive pricing, licensing and workmanship quality. Who offers the lifetime warranties and 24 emergency assistance. It's always a smart idea to have a couple of prices available at hand when choosing your contractor, but the most important is the satisfaction of the home owner that we leave out customers with and the magnet on their refrigerator with our 24 hour emergency line printed clearly. You need to have different companies quotes ready at hand for comparisons. 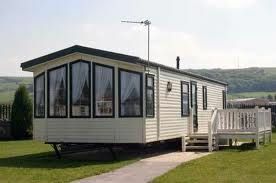 The year, make and model number of their mobile or manufactured home, as well as all of the dimensions of the home. Have a material list of what you believe needs replacement and get the prices on all materials and an average labor cost per hour in that state for an ideal estimate. Fixr has validated the email provided by Central Texas Mobile Home Services. 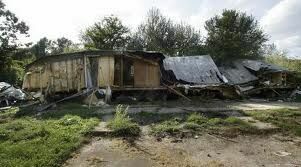 Fixr has reviewed the content provided by Central Texas Mobile Home Services to match our community guidelines. Central Texas Mobile Home Services has been rated with 50 experience points based on Fixr's rating system.